Blogging has blown up over the past few years! With so many different personalities and characters on the internet these days, it’s easy to feel a bit lost and intimidated. It took me years to create a blog because I never felt that I was going to fit in with the community and the worries of self-doubt about your own writing ability. 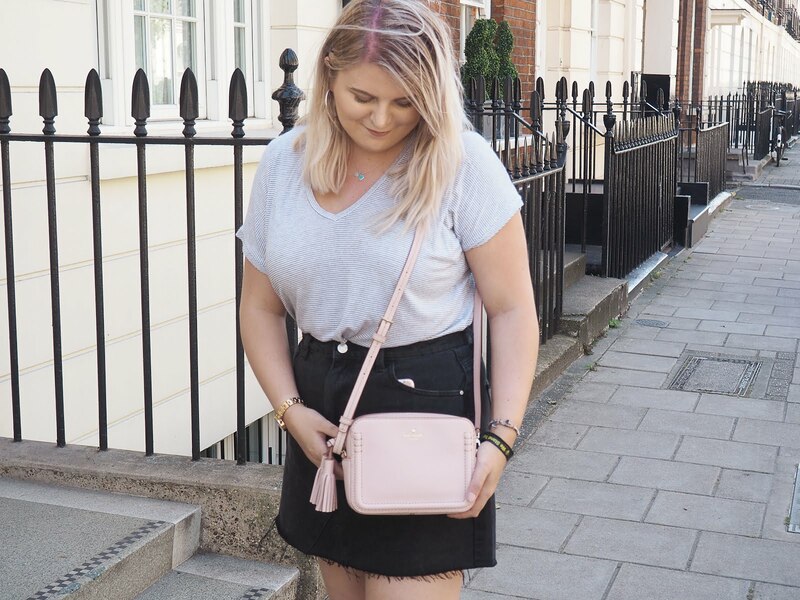 Well, almost 6 months after plucking up the courage and diving right into the world of blogging, I’m here to share my top 5 things I've have learnt since starting my blog! The first step to blogging is obviously creating a blog. Once I had chosen my platform and template (trust me, I know how confusing HTML is but I’m not worrying about that for now), it was time to get writing. I was unsure about what category I wanted to fit into, so I tried not to focus too much on having a “niche” and I’m still just going with the flow. I’ve learnt over the past few months that spending time being too hung up on how my blog is presented and interpreted usually results in my stress levels being sky high and me curling up in a ball on my bed surrounded by notebooks and endless cups of green tea, I wouldn’t advise it! Oh the dreaded word, organise! Some of us love it, some of us (including me) hate it – but it does lead to an easier life. I find that it’s always useful to have a few post ideas written down if blogging is something to be taken up regularly. As soon as an idea pops into my head, I write it down, otherwise Miss Forgetful over here will be kicking herself later when she forgets it. I know my memory, and I will forget. Once I got into the whole scheduling posts thing, I knew that's when I was taking blogging seriously. I've never been much of a "scheduler" but it sure helps me out. Speaking on behalf of the majority of bloggers, we aren’t scary, I promise! A couple of weeks after publishing my first post, I discovered the Twitter blogging community. I can’t begin to describe the sense of relief I felt as I had found people who took pride in writing endless posts about, well, ANYTHING! I have made so many wonderful friends through Twitter and I can happily say that my blog wouldn’t be where it is now without them. Several Twitter blogging chats are organised throughout the week, so just go ahead and join one! My personal favourites are "#GirlGang" Monday - 6pm hosted by Jemma from Dorkface and “#lbloggers”Every Wednesday and Sunday - 7pm. Don’t be afraid to approach bloggers, we all love to ramble, like a lot! By this I realised you don’t need the fanciest, newest DSLR to take good quality photographs. Phone cameras are brilliant for blog photography and many of my favourite bloggers use them! Even when I felt my pictures didn’t turn out how I expected, I came across apps such as Pixlr and Photoshop, what lifesavers they are! But I do try to stay away from filters. Natural lighting and a clear photograph is all that is needed; I learnt this the hard way. Having been on Instagram since it launched, I have probably used every filter under the sun… Flashbacks to grainy and over saturated pictures haunt me. High quality, colourful photographs attract me to a post so I bear this in mind at all times. I try to capture and use my own images for posts. No matter how many pictures I have to take from each and every angle, and the number of hours I spend trying to get the colour balance just right. It all pays off in the end! Blogging is such a rewarding hobby to have, I have found that the more work you put in, the more you get out of it which makes it all worthwhile. Recently I struggled with a dose of writer’s block and I had some time to myself to think about what I enjoy reading. Sure enough, a couple of days later I got myself out of whatever strange funk I was experiencing and threw myself back into blogging. I came to realise that it really isn’t healthy to force a post because readers will be able to sense that. Plus, it makes writing more fun if it’s something I genuinely have a passion or interest for. If I want to write about an amazing breakfast I had one morning, I’ll do just that! My personal posts are my most popular as of today as it allows my audience to engage with me because I am quite literally sharing personal aspects of my life on the internet. Scary. Enjoying my blog for what it is has made me understand why I love to write it. It’s my own little creative space on the internet that nobody will ever be able to take away from me. What have you learnt from blogging since you started? Such a cool post. I really love your blog and totally agree with you on how awesome the Twitter bloggers community is! I've learnt so much through it (you were one of the first bloggers I followed!). I'm still struggling with my organization - does anyone ever get this right? I feel like its a mythical thing! Haha! I really enjoyed reading this, such an easy read! I've learnt a lot from this post being a new blogger I will most definitely stick around and read more. this is such a great post, I think my favourite part of blogging is definitely the community! everyone's so loving and welcoming, it's lovely. wow, I never would have guessed you started blogging only 6 months ago! I only started myself in October 2015, so I'm quite new to the game. I couldn't agree more with your points on photos....I'm still trying to figure out the style that I like for photos! 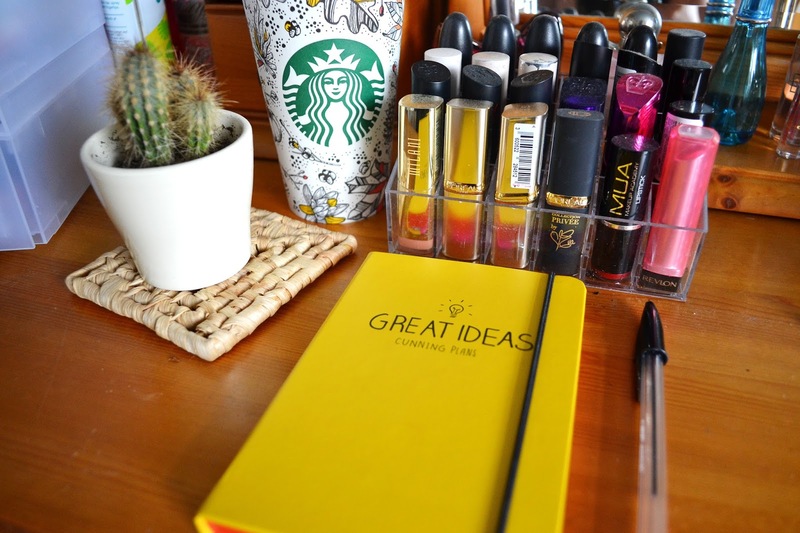 I love this post, it's such great advice for any blogger, the experienced and the newbie! I wholeheartedly agree with you about Twitter aswell, it's become such a massive part of blogging, the community there is amazing and so welcoming! Awww girl this post made me quite emotional (WHAT IS WRONG WITH ME?!?).. I feel like you talked us through your blogging journey.. And I am just so proud that you have overcome your writers block and also not trying to fit in and just writing about what you love !! I love your blog and can always rely on it to make me smile !! I also agree with the community and Twitter chats ... I LOVE THEM SO MUCH! Love you lots girl !!! Keep smiling and stay positive cos your fabulous! Such a great post! I totally agree with every point you spoke about. I think the chats have enabled each and every one of us bloggers connect and build great friendships :). It just takes time and patience to get the blog how you'd like! Great post :-) Followed your blog, its great! This was such a lovely post to read. Having been blogging for about 2.5 years now I just sat here smiling and nodding after every point you made. I couldn´t agree more. I have definitely learned to be more organised! Publishing 3 posts a week can feel hard sometimes and I amazed at the people who post every day. Being part of a community is really great and I always feel so supported! I've had my blog for almost a year and a half now, and I love it! I never thought I'd keep anything going for so long. I've definitely learned not to worry about having fancy equipment, and to just post what I enjoy writing and reading. Can I just say one thing right off the bat hon - I am sooooo happy you started blogging (and that I did as well) and we connected. You are amazing, inside and out, and I am proud to be getting to know you more and more, babe. I love this post, it's so well written and I agree with you 100%! Your last point about writer's block is great advice. Sometimes I forget what I enjoy reading, so I have a jolly good read through all my favourite blogs and I never fail to find inspiration! That's the fantastic part about the blogging community - there's always inspiration to be found. joining and conversing with other bloggers is so much fun i hope i get to do more of this in 2016! I love this post. Twitter chats really bring bloggers together, I love it! Great post. You definitely don't need the fancy equipment, i've learnt that too. Photography is a big part of blogging but isn't so much about what you use but how you do it! Going new a big window to get the best light possible and almost any camera will do the job! I loved this post and was encouraging for me as I only started my blog a week ago! I definitely need to work more on my blog organisation (and life organisation but shhh we're pretending that's OK haha)! Twitter chats are so much fun too! This is a great post! I felt exactly the same about starting a blog and it has taken my a year to pluck up the confidence to go for it! I've been blogging for a few weeks now and am totally loving having my own creative online space! I am so glad you started blogging hun because you're such a down to earth person with a beautiful personality! Your blog is one of my favs and I love your blog so much so you should be very proud <3! Keep doing your thing babe! Great post Kat! Really helpful tips for a newbie blogger!